THE Central Provident Fund (CPF) Board has been in the heart of Singapore's business district for decades, but that could end with the sale of one of its iconic buildings in the area. The CPF Board is planning to sell its Robinson Road building this year and it has not decided whether to keep a customer service centre in the Central Business District (CBD). When asked if the CPF Board would consider keeping a city centre service centre after the building sale, its spokesman said: "It is premature for the board to commit at this stage as we have just initiated the sale of the building." She added: "The CPF Service Centre at 79 Robinson Road will continue to operate till further notice." 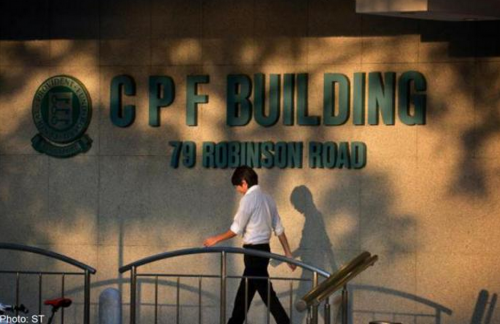 Currently, the CPF Board has five customer service centres, including the one in Robinson Road. The others are located around the island in Jurong, Bishan, Tampines and Woodlands, covering Housing Board estates in the west, central, east and northern parts of Singapore. The CPF Board said that in 2013, these five centres helped 470,000 people check their CPF account balances, do top-ups and advised them on their retirement plans, among other matters. "The number of visitors across all the five service centres are generally the same," the spokesman added. The sale of the iconic 39-year-old building is expected to fetch more than $450 million, according to property analysts. The CPF Board is planning to call a tender between July and September for the site that still has 52 years of its 99-year lease left. When The Straits Times visited the customer service centre in Robinson Road yesterday afternoon, there were about 30 CPF members waiting to be served. Most said they did not have to wait long because they had made appointments online to see CPF Board officers. The Shenton Way workers said that they were not aware of the CPF Building sale but hoped that the CPF Board would consider keeping a service centre in the CBD. Sales officer Tan Lay Hwa, 53, who had her bank details changed yesterday at the centre, said she prefers the Robinson location to the one near her home in Jurong, because of its location. Her office is a few minutes' walking distance away and the location of the service centre makes it convenient for workers like her to drop by if they have questions on the CPF, she said. "It is also less crowded than Jurong at some parts of the day," she added. Mr Jeremy Tan, a senior operations manager, said: "I can understand why they want to sell the place (because of its location), but I hope they can keep the service centre here since there are no plans to open one in Novena." The 57-year-old, who updated his nomination yesterday, added: "Having a service centre in the CBD serves a more specific crowd. "There is already one service centre in Woodlands for people living in the north. The city centre area will lack one." Mr Zainudin Nordin, who chairs the Government Parliamentary Committee for Manpower, said that the CPF Board should consider the usage and demand of the service centre before making a decision. "If there is demand, and it makes operational and financial sense to keep the centre running, it should keep an open mind."